Wedding cake pictures by Ed Reagin. 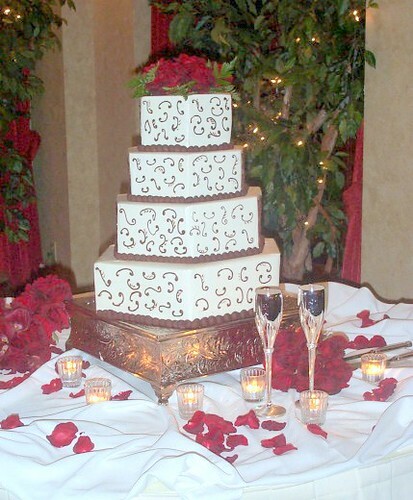 Four step wedding cake with the red flowers on the top. Pound Cake with Dark Chocolate Mousse, Grand Marnier Icing and Chocolate Ganache Decoration.